Lead Pastor Terry R Baughman assumed the lead pastor role for LifeChurch in June of 2009. He and his wife, Gayla, relocated from Stockton, California, where they served on the staff of Christian Life College. He served the college for six years as Executive Vice President and as a faculty member for 19 years. Baughman has been active in Christian ministry since 1976 and has served as a traveling evangelist, assistant pastor, church planter, senior pastor, and as a college instructor. He also served as Administrative Dean for the Arizona School of Ministry from 2012-2016. He has ministered in eight countries and written a number of ministry related books (CLICK HERE). More biographical information available at trbaughman.com. Robert and Elaine Bibb retired in May of 2009 from active pastoral ministry but continue to serve as an honorary pastor. His full life of ministry includes pastoring churches in Pocatello, Idaho, Phoenix and Gilbert, AZ. He led a family musical band for seven years across the southern and western states and in British Columbia, Canada. Their ministry of music is available on iTunes and Amazon Music. Search for the "Bible Singing Bibb Family." Click to visit on Facebook. Senior Associate Pastor Frank Martinez is a native of the Central Valley of California and has served as pastor of churches in New London and Turlock, CA. He speaks from a wealth of personal ministry experience and Bible study. As the Senior Associate Pastor he assists in many areas of leadership including family ministry, personal life coaching, Spanish ministry, and shares his talents on the music team as a guitarist. His wife, Barbara, serves as an administrative assistant. Justin Hutchinson has served in numerous areas of responsibility at LifeChurch. He currently assists leadership in accomplishing their goals of ministry. A graduate of Arizona School of Ministry he and his wife MiKayla are dedicated to serving the faith community. Mikayla Hutchinson is the Minister of Music directing LifePraise, our worship team, where they both sing and he plays drums. They are also active in planing the worship sets for a monthly student event "Praise 'N Games" for all students ages 11 and up. Justin also coordinates our community Pop-UP Worship Events held in various homes in the East Valley. ELEVATE - Jr. High & iGNiTE! -Sr. High Student Ministry is led by Vince & Mary Nguyen. Together they plan for the Christian education and various events of this active group. They lead a monthly student worship event "Praise 'N Games" for all students, ages 11 and up. They also host a monthly "GIT-FIT night" where the students learn the Word of God and share their thoughts on the lessons. Food and games are always a part of the evening events! Students are also involved in service projects through the year, learning more about themselves as they seek to serve others. #XY College Connections Pastor Jeremiah and Jessica Vigil serve in our young adult ministry. Jeremiah attended Mesa Community College and ASU and understands the pressure and the opportunities of college life. Our young adults are supported by their ministry whether they are in college, vocational training, or seeking direction in their career path. This young adult group also enjoy working in charity events and giving of their time and talents to serving others. 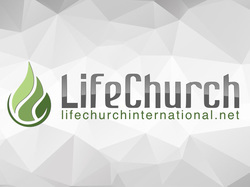 Russ & Michelle Walters are the Children’s Ministry directors for LifeChurch. 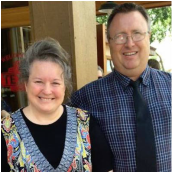 They have worked with children and youth in their years of church ministry in Arizona and in Oregon. At LifeChurch Russ & Shelley head up the LifeKIDZ student group which emphasizes ministry to the children 8-10 years old and the LifeKIDZ's Fun Church for ages 3-10. They are passionate about kid’s ministry and Christian education. LACE - Women's Ministry is a vibrant segment of LifeChurch. Frances Pearce is the director for the many activities of this group. They have LACE connection meetings throughout the year, as well as an annual Women's Fall Retreat, women's conferences, and social activities. They have several successful fundraisers to support local outreach ministries and Mother's Memorial, a special charity of UPCI Ladies Ministries. Gayla Baughman, Women's Ministries Pastor, ministers to women in several planned Bible Studies and special events through the year. Band of Brothers - Men's Ministry is led by Brian Logsdon. He is an avid outdoorsman and a caring leader. Brian coordinates several events through the year that provide opportunity for men to spend time together, connect with others in the community, and develop their commitments to God and to their families. Brian's wife, Shelly Logsdon, coordinates volunteers for our mobile setup for Sunday Worship, organizes teams for the "Higher Grounds Cafe" each Sunday and she provides support for the Women's ministries, LACE Connections. Ryan and Missy Compton coordinate activities for the ministry to our young married couples. They have three kids and enjoy creating opportunities for couples and families to interact and grow together. Bryon and Beckie Gurney create opportunities for those in the midlife ages to connect and form friendships. Quarterly activities for this vibrant group usually involve food and lots of laughs! Willard & Frances Pearce lead the LifeChurch “Dream Team.” This is the senior group of our congregation and they provide a backbone of support to all our ministries and outreach. Frances serves as the Women's Ministry Director and coordinates all of their events. Willard and Frances Pearce have worked in ministry for many years in Oklahoma and Arizona and bring their talents of organization, planning, and a genuine love for people to the leadership team of LifeChurch. Jeremiah Vigil is the leader for the #XY Young Professionals connection group. Those who connect in this group are establishing their careers, developing networks of social contacts, and identifying their calling for personal and professional growth. They are passionate about service and are involved in selected charity projects each year. "Loving God, loving others" is more than a motto for this group, it is a visible illustration of their discipleship. Spanish Ministries - Frank Martinez is a bilingual preacher and has taught Spanish Bible Studies and provided interpretation for some of our bilingual ministry sessions. We are developing the personnel and demonstrating our desire to reach out to the Spanish speaking community around us. Gayla Baughman coordinates the women's prayer ministry of LifeChurch. They have an active online prayer group connected through Facebook, LACE Women of Prayer. Monthly (usually the first Saturday @ 7:00pm) they meet in the LifeChurch Discipleship Center for women's prayer. Bobby Cole leads our men's prayer group. This group meets monthly (usually the first Saturday @ 7:00pm) for prayer. There is also a prayer page on Facebook to share needs and praise reports throughout the month. Mighty prayer makes mighty men. All are welcome!